Looking for an easy DIY Dr Seuss costume? Keep reading below to learn how to create a super easy and inexpensive costume for One Fish Two Fish! March 2nd is Dr. Seuss’s birthday. At my daughter’s kindergarten, they spent the whole week celebrating Dr. Seuss, from reading his books to giving each day of the week a dress up theme. There was wacky hair day, inside out day and even a day for dressing up as your favorite Dr. Seuss character. My daughter really wanted to dress up as Cat in the Hat, but unfortunately for her, she has a mom who is a bit craft-challenged. I don’t sew and I don’t craft well. I finally settled on a one fish two fish costume, because it seemed like a simple enough concept that even the least skilled crafter (read: me) could manage to create it. 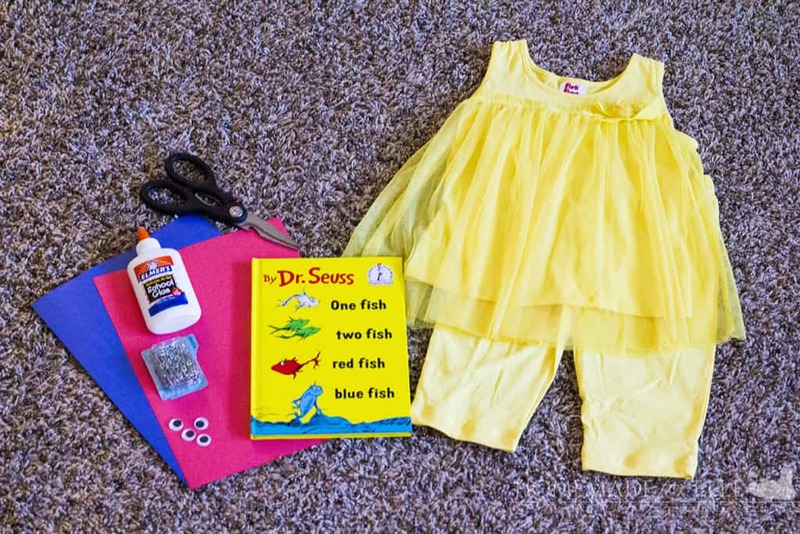 It’s super easy to make this DIY Dr Seuss Costume! You just need a yellow outfit, some red and blue construction paper, glue, googly eyes, and safety pins. Cut out 4 – 6 fish from the red and blue construction paper. These are really easy to cut free form, but you can get more creative with the shape of the fish, if you choose. Put a small drop of glue onto the googly eye and attach it to each fish. Use the safety pins to attach the fish to the yellow outfit, taking care not to bend the fish in the process. Here is my 5-year-old wearing the easy Dr Seuss Costume! A yellow headband (also a dollar store find) really rounds out the whole costume! That’s it! 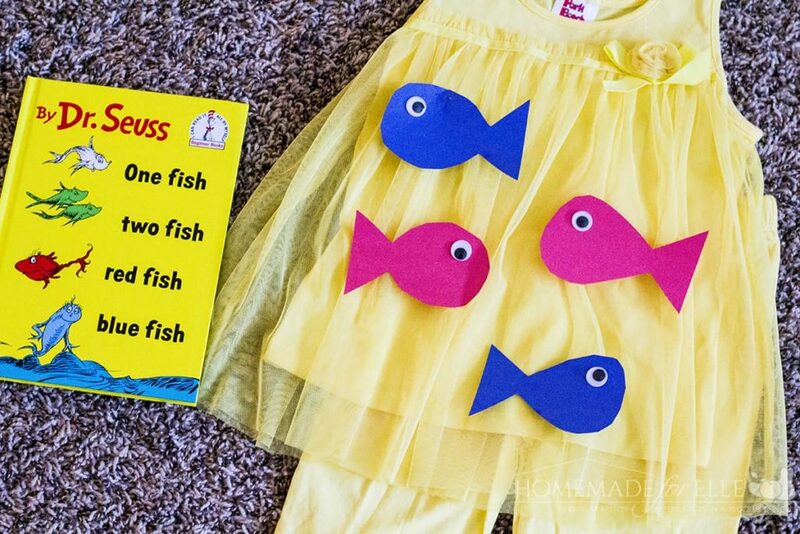 Suuuper easy, inexpensive, and quick One Fish Two Fish costume. 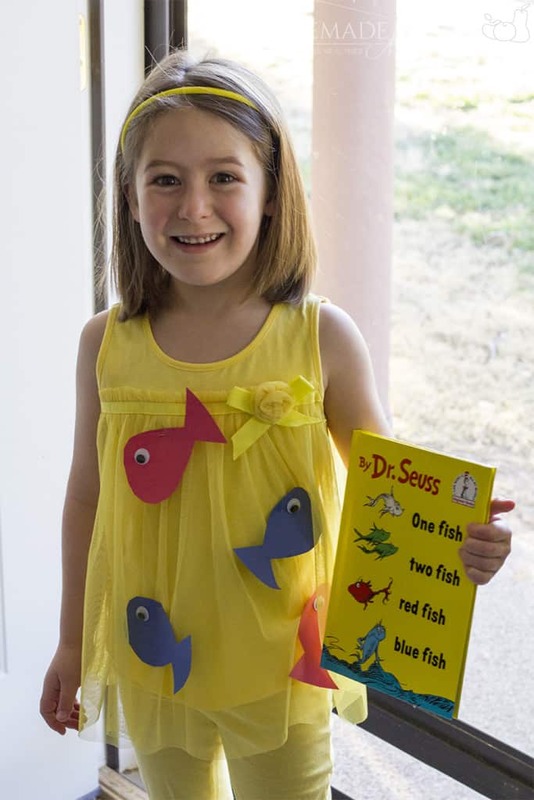 I sent my daughter to school with the book as well, but considering it was a Dr. Seuss character day, I think people would have understood what she was dressed as, without the book. She had a lot of fun, and everyone loved her One Fish Two Fish costume! 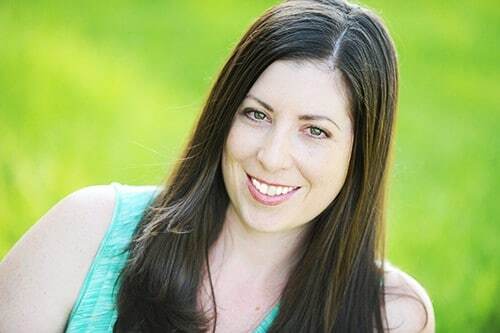 Psst – have a kid who loves art? Here are the best gift ideas for girls who love art! 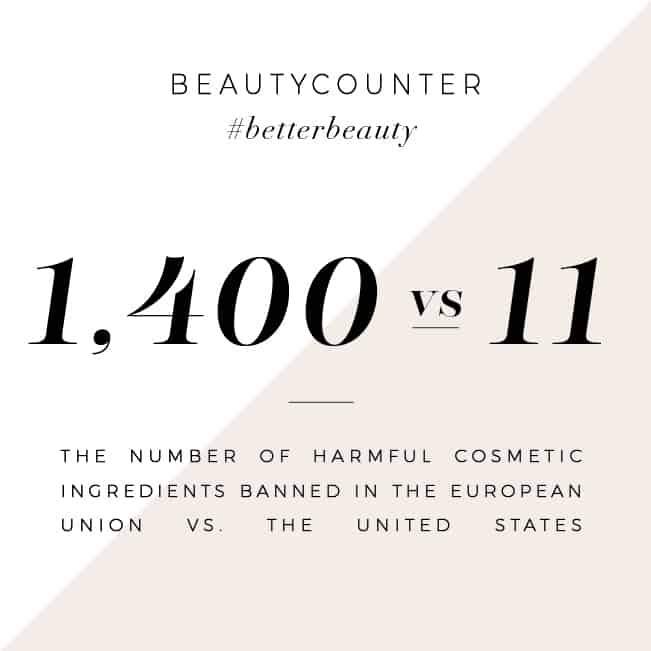 Pin this for later by clicking the image below! 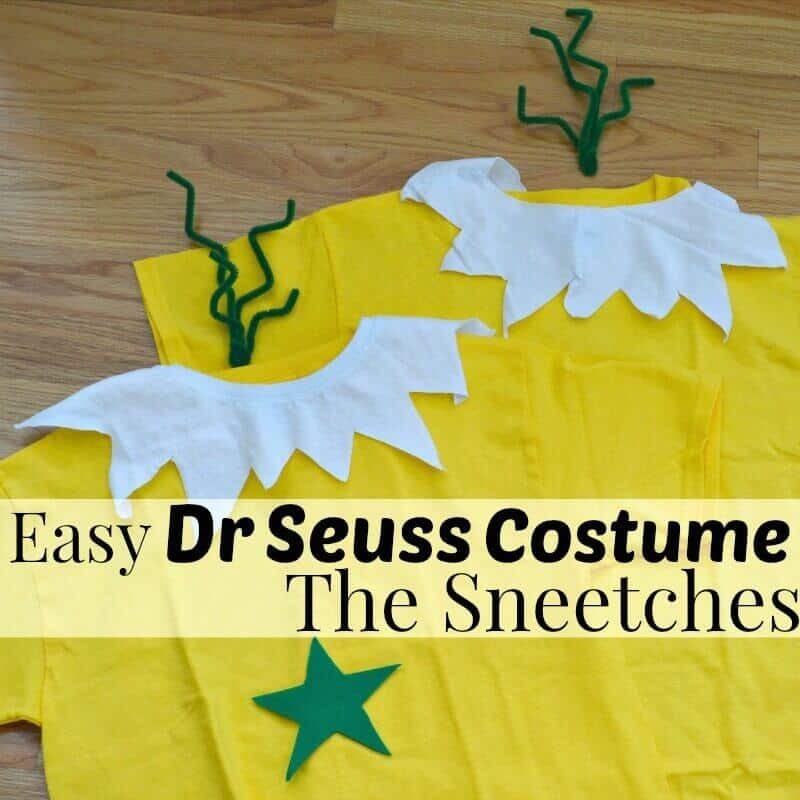 If you want another easy Dr Seuss Costume, check out this tutorial on how to make The Sneetches costume! I made this costume today for my granddaughter for Dr Seuss day. Super cute. Thanks for the idea. Such a net idea. Definitely doing this for upcoming Dr. Seuss school event coming up. Thank you! Can you give it to me susan?